Total Score: 8.33 - EDITORS CHOICE! 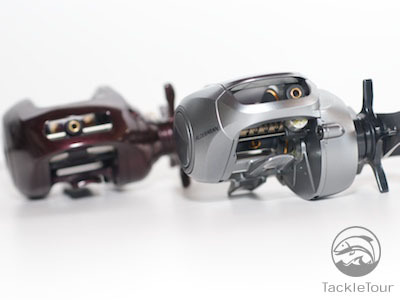 Introduction: In March of 2005 we presented a shootout of two relatively new JDM products from Daiwa and Shimano. It was the Alphas vs Scorpion MG in a duel that saw the Daiwa Alphas victorious. Both reels have since gone on to legendary status in the JDM market and the Alphas in particular has gone through several transformations. 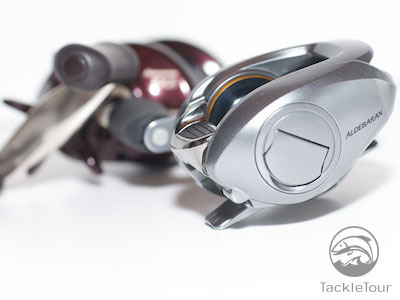 Still, the little purple powerhouse that Daiwa debuted in 2004 is my favorite followed closely by the Alphas Ito Ai. 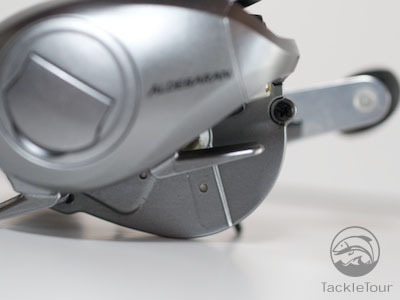 The Shimano camp has always been a bit more conservative with their product offering one version and letting the performance of that one product speak for itself. Witness the longevity of the Scorpion 1000/1001 – the reel that’s been responsible for many a Tackle Enthusiasts’ path to the darkside. Yet for me, the Mg version of this reel was nothing but a disappointment. I really expected Scorpion Mg to challenge the Alphas more strongly in that battle from four years ago and even went out to acquire another after all was said and done thinking the one that I had must have been defective. When the second reel arrived, I was met with the same poor pitching performance as the first. I ended up selling both reels favoring the non-Mg version of that reel far more. Shortly after the introduction of the Scorpion 1000/1001 Mg, Shimano USA brought in the Chronarch 50Mg which looked to me to be the very same reel only word on the dock was this reel REALLY performed well. In fact, Zander even confirmed this fact in his review of that reel which debuted on our site several months prior to the Alphas vs Scorpion Mg shootout. Too late for me, I had already been burned twice and I did not want to pay for another reel with the name “Chronarch” on it when the JDM origins were very much “Scorpion” (a.k.a. Curado). ...especially compared to the profile of the reel it essentially replaces (shown here is a Scorpion 1001, the non-Mg version of the Scorpion 1001Mg which the Aldebaran replaces). Fast forward to the end of 2009 where we saw Shimano USA blowing out the Chronarch B line in what was rumored to be in preparation for a new Chronarch. Of course, we later found those rumors to be true. The Chronarch 50mg was next to be discounted but there were no rumors of replacement. Fans were outraged. The discontent in our discussion forum was tangible. Another difference between the Aldebaran and the former Scorpion 1000/1001 Mg? The new, oversized gearbox! 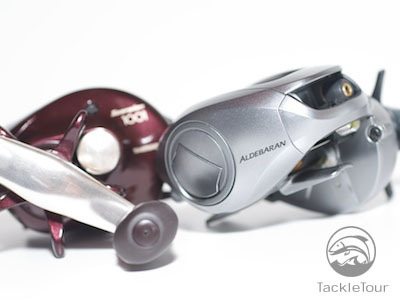 Then, our Enthusiast crowd uncovered news from overseas that Shimano Japan was getting set to release a new, compact Mg baitcaster – the Aldebaran. Named after one of the brightest stars in the sky and specified at only five and a half (5.5) ounces, could this reel be the update Shimano fans have been anticipating? Judging by the fact fans were already comparing it to the Steez AND Pixy (Daiwa Japan’s one, two Mg reel punch) based solely on scanned pictures and without ever handling the reel, we’d say yes. The typical pre-debut frenzy was upon us and the Aldebaran was already a pre-release star dubbed “the Steez Killer” and affectionately referred to as “Bob”. Side by side you can barely tell these reels are related. Well, the time for projection and hyperbole is over. 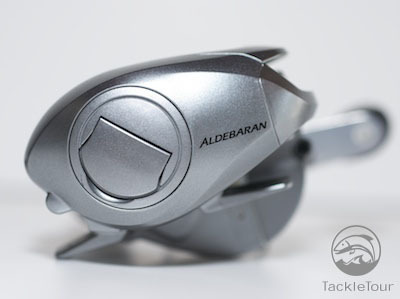 Introducing our review of Shimano Japan’s 2009 Aldebaran. Although a view up front reveals some resemblance. When news of the Aldebaran hit, it didn’t take me long to get on the pre-order list with JapanTackle. 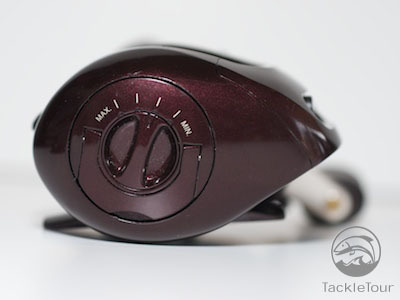 Originally anticipated for a mid to late March release, the left handed version of this reel was delayed to early April. When it finally did arrive, I was in the middle of the High Speed Reel Shootout and seeing as how I ordered the low speed version of this reel, the wait would be even longer before I had the time to get this reel on the water. The Aldebaran features the same, trusted, keyed sideplate design.